Days in Zante can be spent chilling on the beach, sipping beers and sampling gyros…but why do that, when you can enjoy one of the best experiences of your entire life at a pool party? Forget everything you expect – Zante pool parties are something else! Blazing sun, hundreds of partygoers and rock-bottom drinks deals combine to make one of the greatest days of your life. If you want amazing memories at the pool, there’s only one place to be. 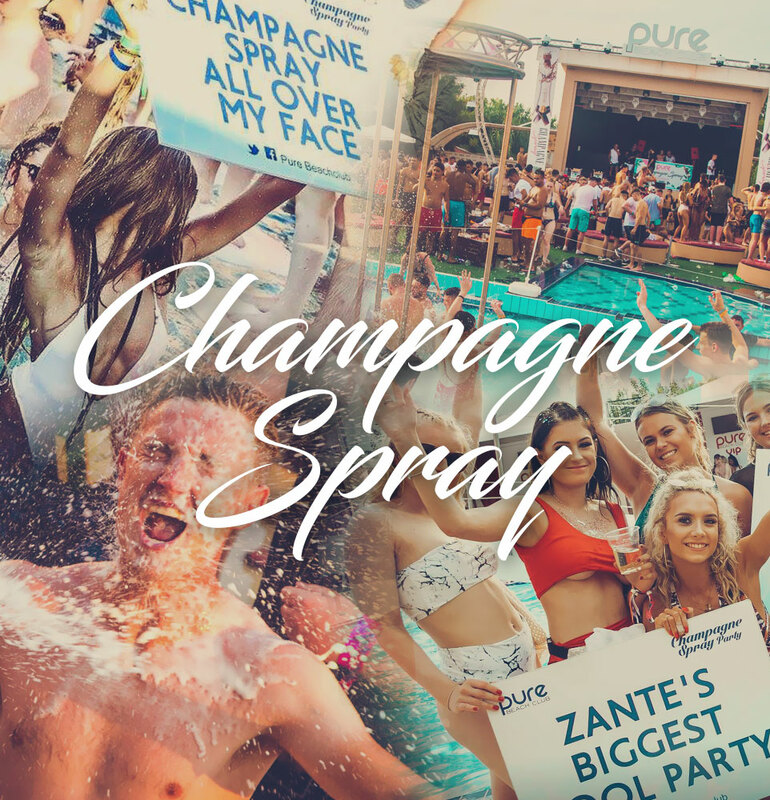 Each Thursday, the amazing venue Pure hosts their Champagne Spray event – where you’ll get a whole bottle of champagne to celebrate with included in your ticket. Pop the bubbly, dress to impress and enjoy one of the island’s most exciting parties..
There’s a big difference between a pool doing a happy hour at the bar and an incredible pool party. 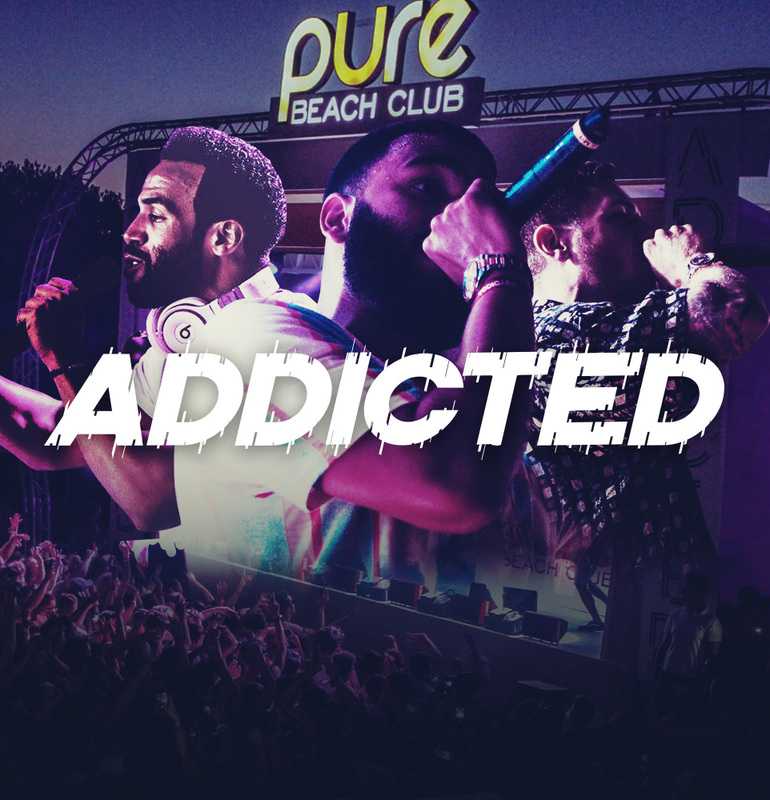 At Pure, you’ll be downing drinks with hundreds of other partygoers who are all glitzed and glammed up, ready to dance the day away. It’s the only place to be and the only truly unforgettable pool party in Zante. Ready to book your Zante pool party tickets? At Holiday Box Office you can book directly with the venues, which means you’ll save money and guarantee your spot. Between 12,000 and 15,000 people attend every single year – make sure you book your Zante pool party tickets now so you don’t miss out.